The Lord Howe Island is a UNESCO World Heritage Site known for its natural importance. It is a crescent shaped volcanic island that is located within the Tasman Sea, in the geographical spot between Australia and New Zealand. However, the Lord Howe Island is a territory of Australia. On the western coast of Lord Howe Island, there is a sheltered coral reef lagoon that is semi-sheltered and preserved for its marine importance. 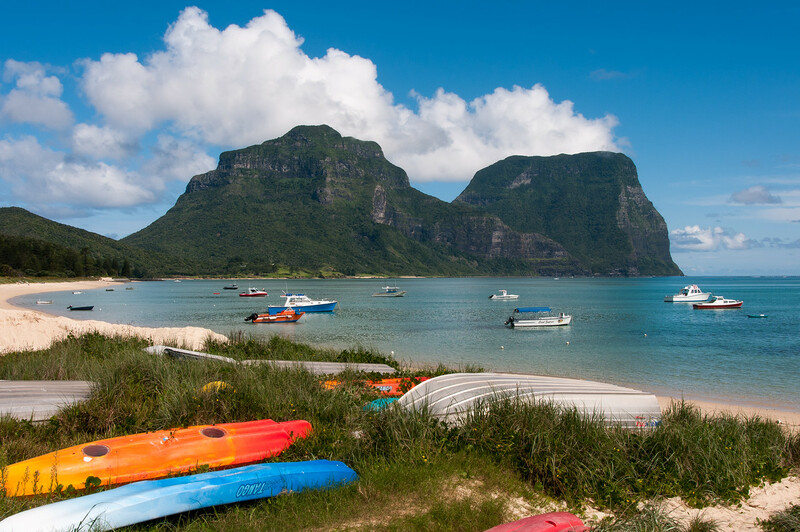 The natural beauty and pristine island make it worthwhile to travel to Lord Howe Island. There are 28 islands, rocks and islets that make up the Lord Howe Island Group. It is part of the New South Wales region of Australia. The UNESCO recognition of the site for its global natural significance is mainly due to the untouched forest and marine or coral life in the area. The island is also lauded for its diverse landscape and being a nesting place for various seabird species. Even the surrounding waters of Lord Howe Island are considered a protected region. Tourism is the main industry that maintains Lord Howe Island. You can reach the island via plane from Sydney or Brisbane and it will take no more than 2 hours to get there. Official Language: English is the official language in Lord Howe Island. 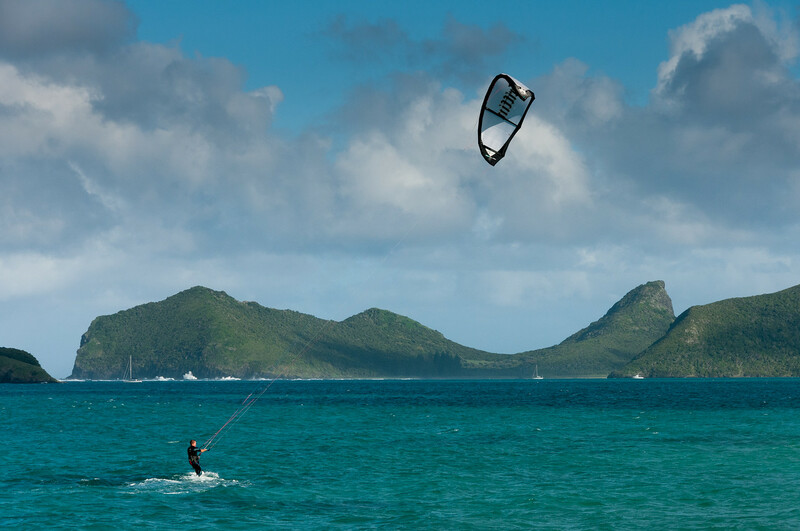 Wi-Fi Availability: Most resorts, hotels and commercial establishments in Lord Howe Island offer free wireless internet access, especially in the tourist frequented spots in the island. Airport/s: The Lord Howe Island Airport is both a regional and international airport catering to flights to and from the Lord Howe Island. 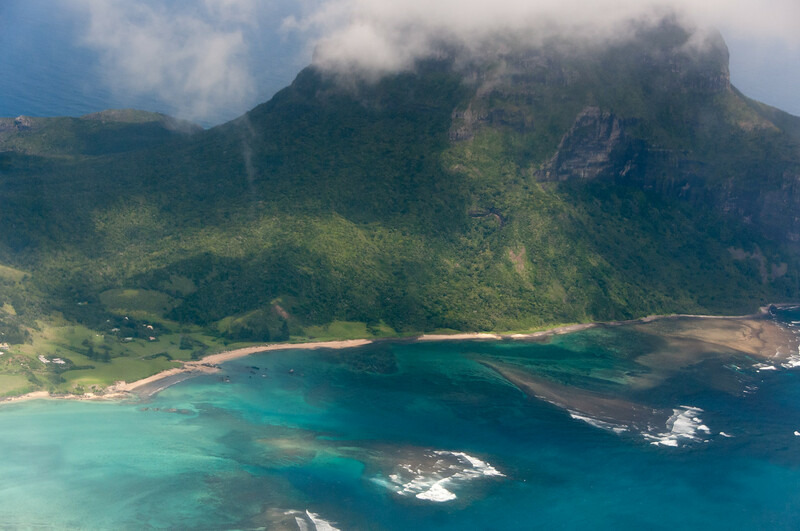 You should, therefore, travel to Lord Howe Island via this airport. Visa Required: The visa policies for Australia also applies when you travel to Lord Howe Island. Driving: The rules for driving on Lord Howe Island are the same with mainland Australia – you must drive on the left side of the road. International Driver’s License Accepted? You can use your US or foreign issued driving license to drive in Lord Howe Island. Crime: Lord Howe Island is a world famous tourist attraction. Despite the influx of tourists during peak season, the crime rate is one of the lowest in the world. In fact, it has the lowest crime rate in NSW and is one of the safest places in Australia. Electrical Adapters: In Lord Howe Island, the electrical power used is the same with Australia – 240 volts at 50/60 Hertz. Trivia: The waters surrounding Lord Howe Island is one of the richest marine ecosystems in the world. There are approximately 500 species of fish and 90 species of corals. Snorkeling or diving in the waters of Lord Howe Island is like swimming in a giant aquarium. In Lord Howe Island, there are several things to see and do. But if you are a nature lover, you will be feasting on a wide array of sights and activities unique to the island. Bird watching is one of the most popular activities for tourists who travel to Lord Howe Island. In fact, the island has earned its reputation for being the premier bird watching destination in Australia. There are 14 species of seabirds in the island available for viewing. Fishing is another popular activity in Lord Howe Island. 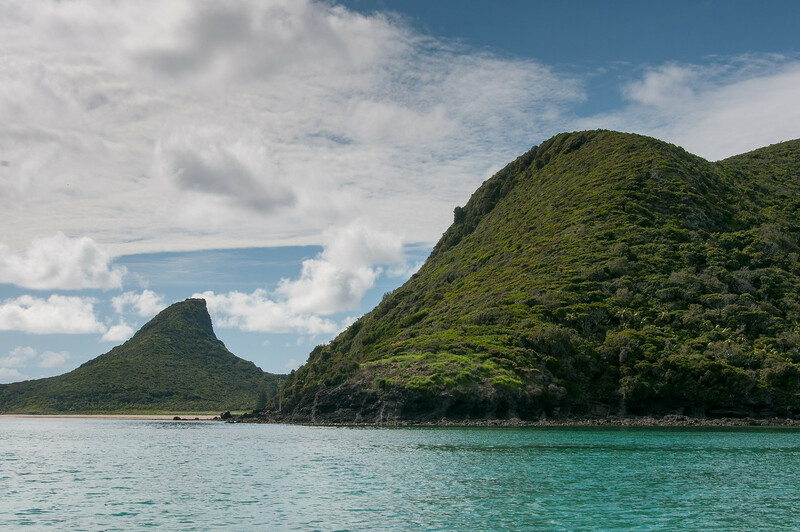 There is no commercial fishery allowed within the preserved marine areas of Lord Howe Island, which makes it one of the best spots for fishing in the world. There are a variety of species you can catch in the area such as striped or blue marlin, yellowfin tuna, Lord Howe Kingfish, to name a few. 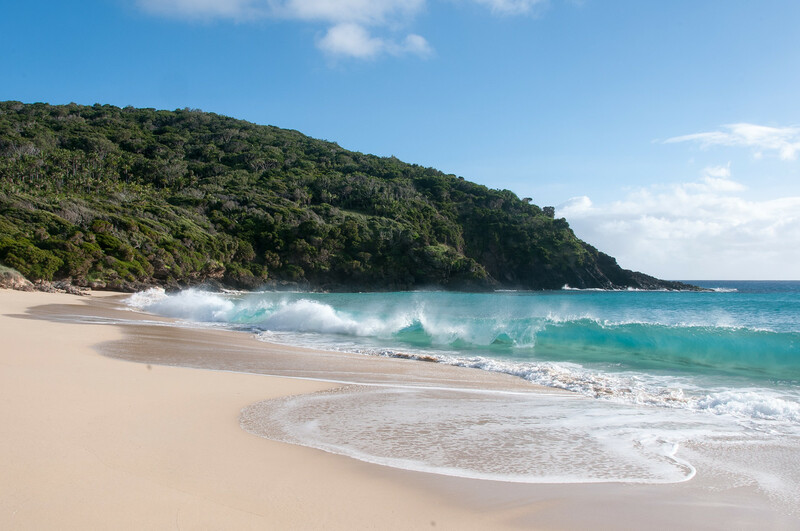 Snorkeling and scuba diving are also recommended in Lord Howe Island for tourists who want to get up-close with the rich and diverse marine life of the island. The island is located at the cross-section of five major ocean currents including the Great Barrier Reef and Tasman Sea. The coral reef system is also among the best in the world, with over 90 species of coral and over 500 species of fish and marine life. The cuisine in Lord Howe Island offers a mix of home cooked goodness with contemporary cooking styles. Therefore, you can find restaurants in the island serving fish fries and other homey meals to sophisticated and fine dining menus. A locally caught kingfish is a popular staple in most dining tables in Lord Howe Island. Pandanus Restaurant – This is one of the highly popular restaurants in Lord Howe Island. The cuisine served within the restaurant is a mixture of Asian, American and Australian inspiration. However, the menu is focused on offering fresh ingredients and local produce. The Anchorage – This is another crowded restaurant because of its popularity among tourists and locals alike. The menu for breakfast and lunch is café style, which takes full advantage of the on-site bakery within the restaurant. It also has a fully licensed bar so guests who like to chat and drink until late at night can do so here. Coral Café – This café and restaurant are located within the Lord Howe Island Museum and Visitor’s Centre. This is a recommended spot to unwind and enjoy some delicious treats after exploring the island’s history within the museum. The restaurant also serves a hearty breakfast and fresh ingredients for a late lunch dining experience. Make sure to accompany your meal with a glass of wine or ale. Beach House on the Moon – This restaurant is famous for its fish fry buffet (available twice weekly) that provides a bountiful selection of fresh seafood. They also serve an ala carte menu from Monday until Friday. Greenback Eatery – Despite the several options available in Lord Howe Island for fish and seafood restaurant, this one emerges as one of the premier options. The restaurant features its own vessel known as “Greenback” wherein fresh fish and seafood is stored and caught upon the guest’s order. This is one way to ensure the freshness and superior quality of dishes served at the restaurant.